Vintage Illinois License Plate 1977 green and white metal license plates SJ 905. Buy one or both. 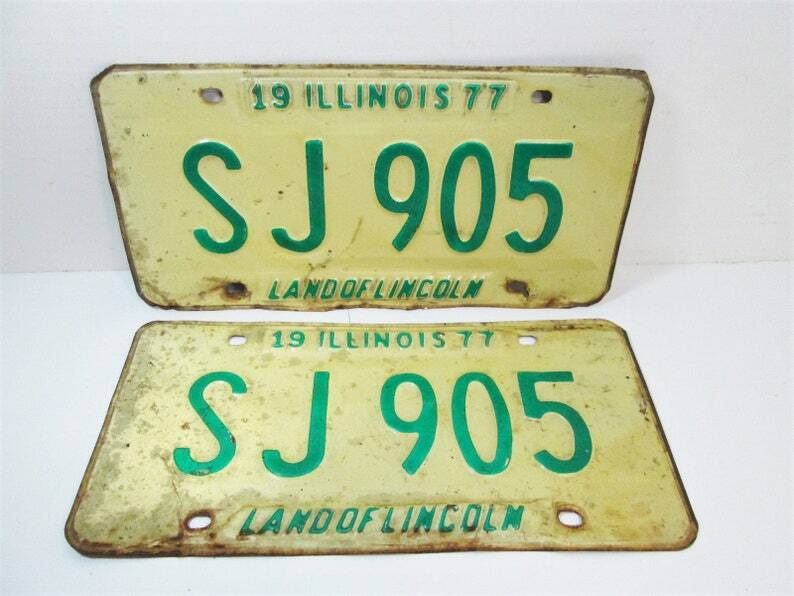 This listing is for a single or set of two Illinois license plates shown. Please look at the photos for the condition and choose one or both from the drop-down menu. White background with green numbers and letters. Classic vintage look with great colors!! Heavy steel construction. The plate measures about 11 3/4 inches across, by 6 inches in height. This would make a fine addition to your vintage license plate collection! !